Jim Lee, legendary comic book artist and creator, joins the roster of MegaCon Orlando! Lee joined the industry in 1987 as an artist for Marvel Comics working on well known titles such as Alpha Flight and Punisher War Journal before gaining his popularity due to his work on The Uncanny X-Men. 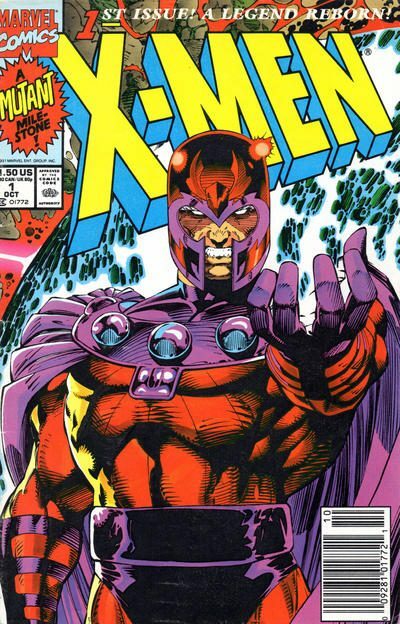 Issue No.1 of X-Men, the series spin-off the Lee produced alongside Chris Claremont is still found to be one of the most popular comic books of all times! Jim Lee is joined by artists such as Andy Kubert, Scott Snyder and Greg Capullo, all of which have worked on the cape crusader, Batman. Fans look forward to the possible conjoined Q & A panels that are often found the MegaCon event schedule! Meet Lee and other artists at MegaCon 2018 this May! UPDATE: Since the announcement, a larger list of creators is shaping up: David Finch (Batman), Jock (Batman), Yanick Paquette (Wonder Woman: Earth One), Tom King (Batman), Amanda Conner (Harley Quinn), Jimmy Palmiotti (Harley Quinn) and Peter Tomasi (Superman).